Workplace Gallery are pleased to present 1,2,3,4 a group exhibition of new and existing works by four artists currently living and working in Glasgow: Maurice Doherty, Mick Peter, Owen Piper, and David Sherry. Maurice Doherty's art employs a variety of techniques - lens based, sculptural and two-dimensional. For, 1,2,3,4 Doherty will be presenting artworks from a new series titled ‘Readymaids’. Creating a playful idiom, Doherty calls to mind early twentieth century avant-garde terminology and processes. In contrast to the iconic pieces of early modernism, aesthetic delectation is central to Doherty’s latest works. 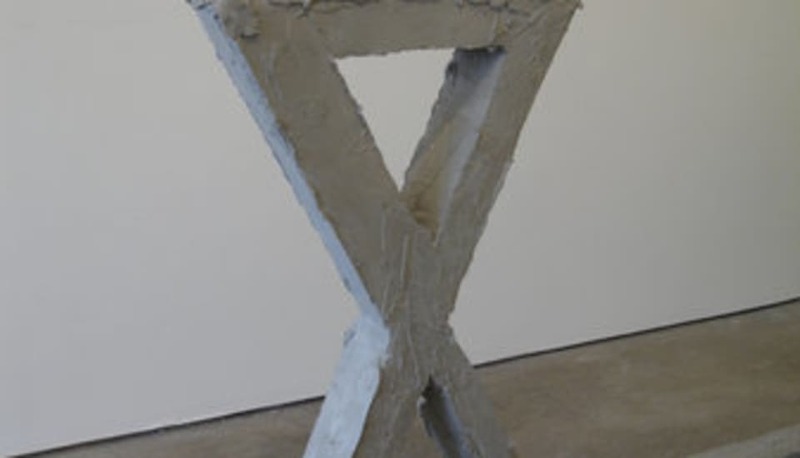 Mick Peter’s sculpture is highly improbable: simultaneously vulgar and breezily complicated. The objects interweave familiarity with oddity; the conceptually ludicrous and aesthetically irresponsible begins to reveal bits of brutalist architecture or clunky public sculpture. For Workplace Gallery he has made an improvised structure that uses motifs from recent works with added ‘sculpturistic’ sculpture in the form of casts of jugs and teapots. Owen Piper often constructs replicas of existing objects in alternative materials, creating a space where the boundaries between sculpture, furniture and abstract structures are blurred. Usually employing domestic materials Piper alters and amplifies the final construction allowing interplay between scale, subject, and meaning. David Sherry is interested in the social rules and regulations that fill up every human head to bursting point. For him even walking past a stranger in the street has a number of checks and balances to be acknowledged. His current work such as ‘Breaking the hug barrier’ looks at commonly accepted social patterns. These works establish frictions that offset normal situations, highlighting how the artist filters actions and near paranoiac social preconditions. Sherry plays with these preconditions in an effort to plunge beneath an accepted normality. Spanning traditional definitions of art including drawing, painting, performance, sculpture, and video, 1,2,3,4 presents artists working with the most appropriate material to communicate their intentions, rather than any labored attempt to work within a specific genre. All four artists create layers of sophistication, language, and humour. Social norms and aesthetic conventions bear the brunt of their enquiry raising questions about how we engage with the most basic human activities. Combining the familiar with the odd they make work that deliberately doesn’t quite add up and evades conceptual closure.